BIC company is the world leader in stationery that every young and old has known since school. Their pens were used probably during all English Camp editions. Our next partner, Staples Solutions is a producer of office supplies. It is the leading provider of workplace products, services and solutions to small, mid-sized, and large businesses in Europe. 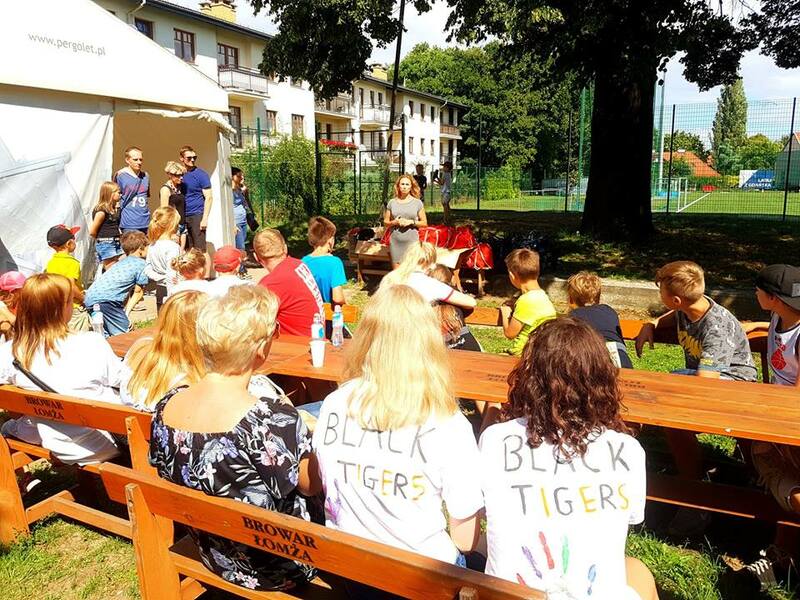 Art classes are one on the main program points of all English Camps and would not be possible without the support of St. Majewski, as it is the biggest producer and distributor of school supplies in the Polish market. 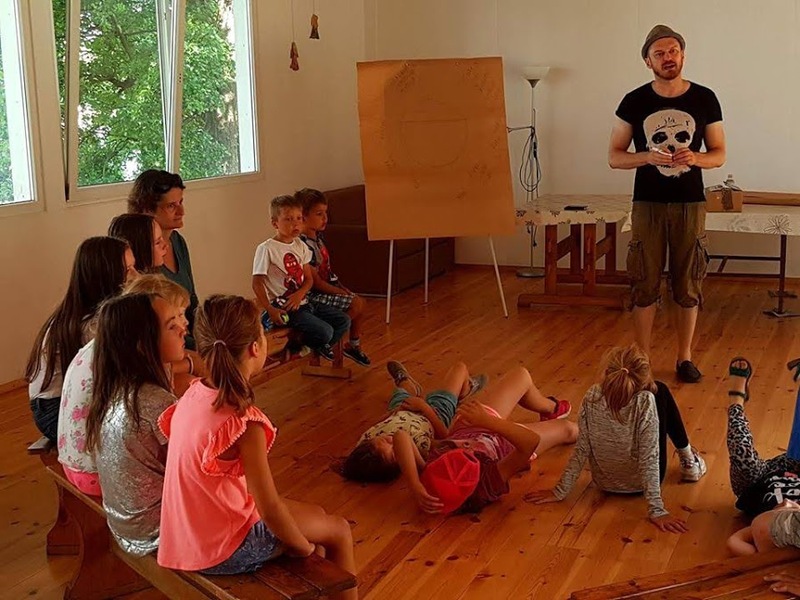 The English Camp is not only fun, artistic or creative activities. We would also like to teach children the responsibility for our environment. In this case we can rely on our long-time partner, AURAEKO. 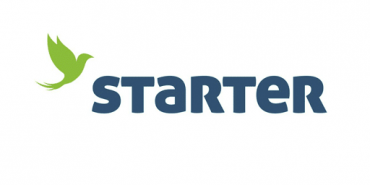 It is the organization supporting recycling of electronic and electrical equipment. With their support we can teach children what to do if their electronic equipment will broke down. 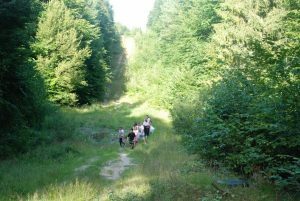 The characteristic points of the English Summer Camps are outdoor activities. Our main goal is to do our best to take care of children. Especially according to this year’s sunny weather, we have to protect them from sunburn. 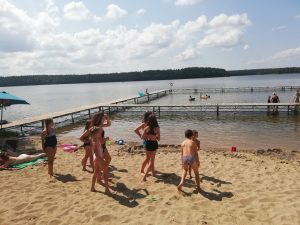 It is possible with the support of Bielenda company, producer of natural cosmetics for face and body, which provided sunscreens for children. We would like to thank all our sponsors and partners!! 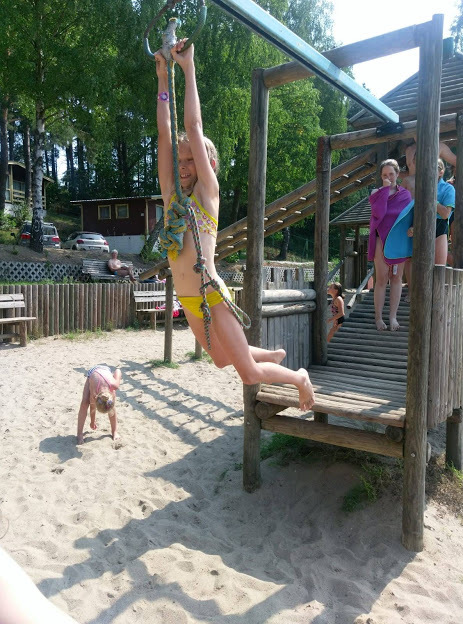 With your help we can bring smiles on children’s faces!!! 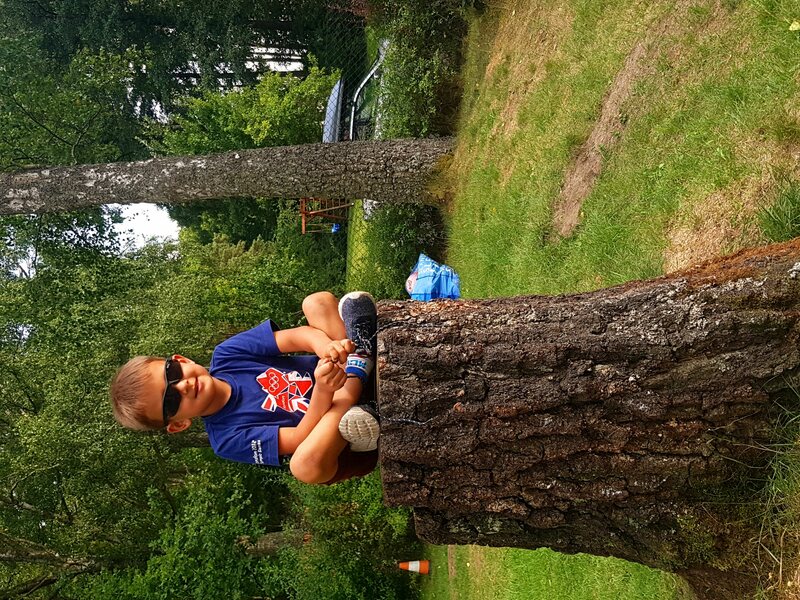 If you are wondering how children are spending their time in Zielona Szarlota? What workshops they attended? 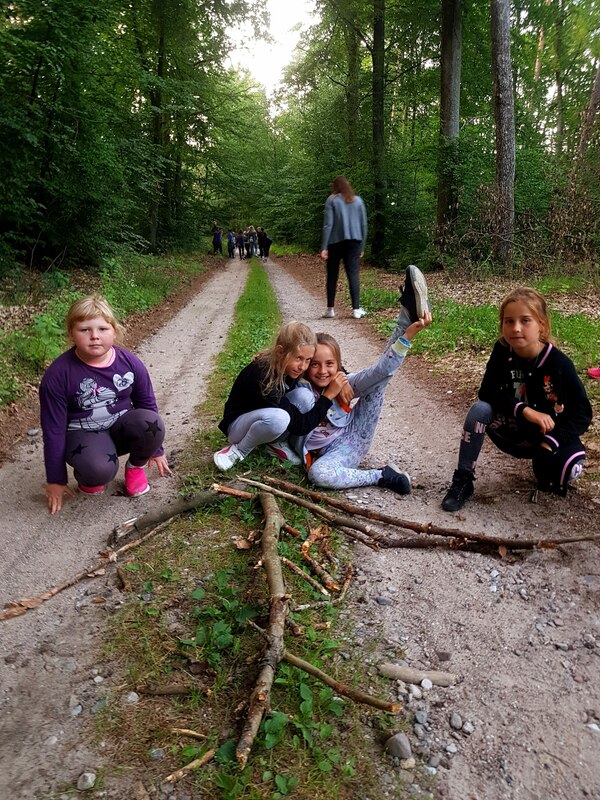 Visit our webpage where we will soon show you how they spent their first few days of ESC2018. To learn more about current news visit our facebook profile. Have you ever wondered who the honorary patrons of ESC 2018 are? 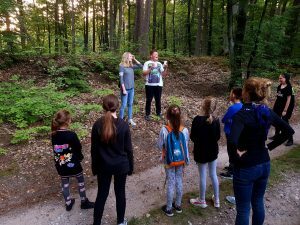 Well, English Summer Camp 2018 is proud to be covered by many patrons of the local authorities. We are grateful that so many great people are kind to us! What’s more – we are pleased to inform you that honorary patrons are also Presidents of the City of Gdańsk and City of Sopot – Mr. Paweł Adamowicz and Mr. Jacek Karnowski! It is here, in the Tri-City, that the idea of ​​organizing a colony for children was born. We combine play with science. 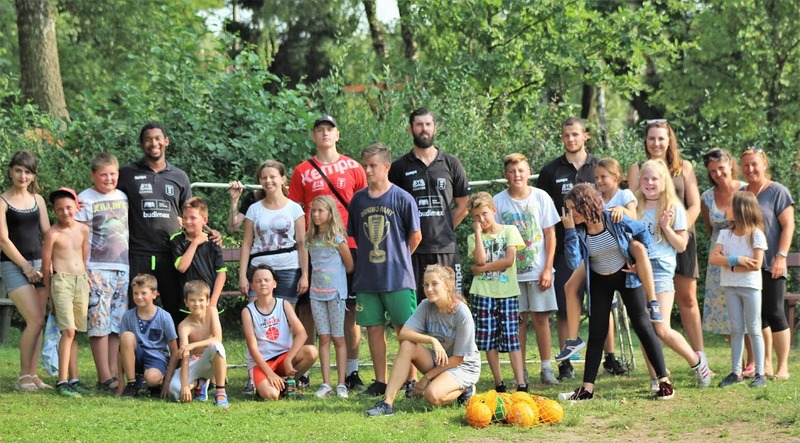 Support for our activities means a lot to us and adds a lot of energy to action! 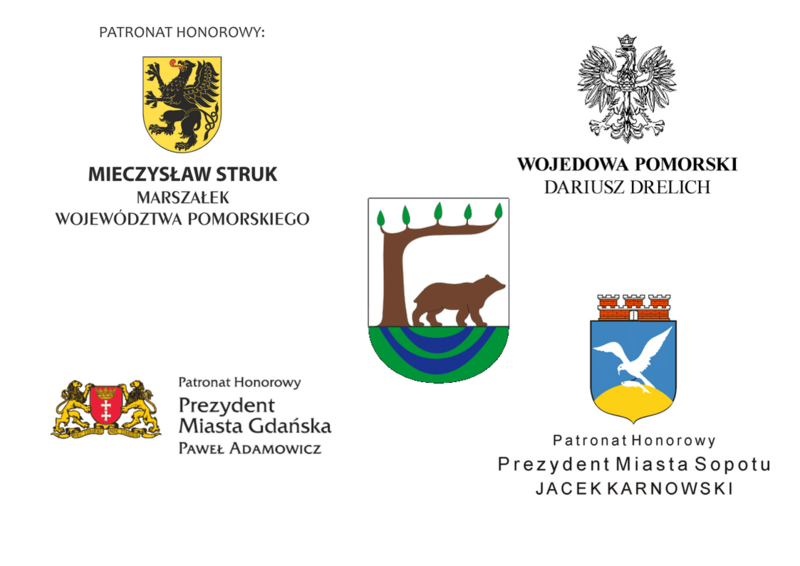 Also, the Marshal of the Pomorskie Voivodeship, Mr. Mieczysław Struk and the Governor of Pomerania, Mr. Dariusz Drelich, support our camp! Thank you for supporting the initiative by the highest authorities of our beautiful province! Honorary patrons – Thank you! All of the above and each one separately. 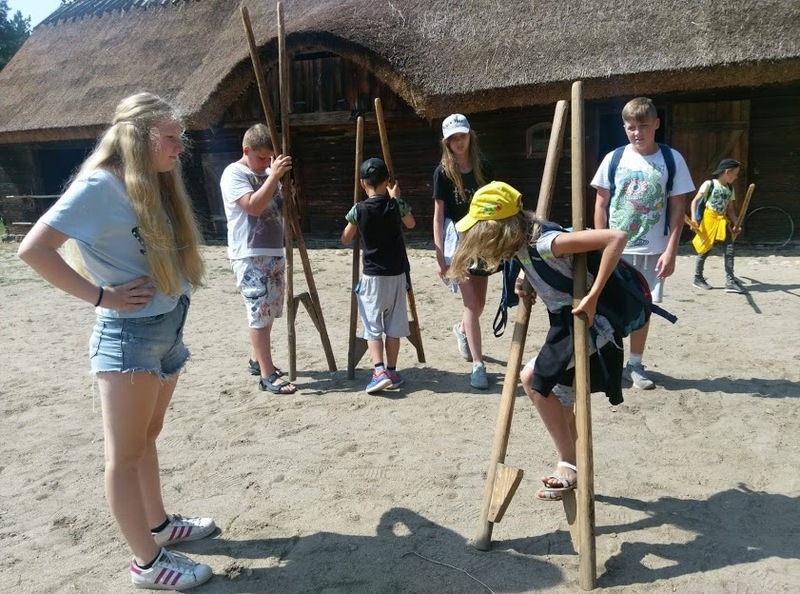 On our part, we will do our best to make our language camp better and better from year to year. We hope for fruitful cooperation also in next editions! 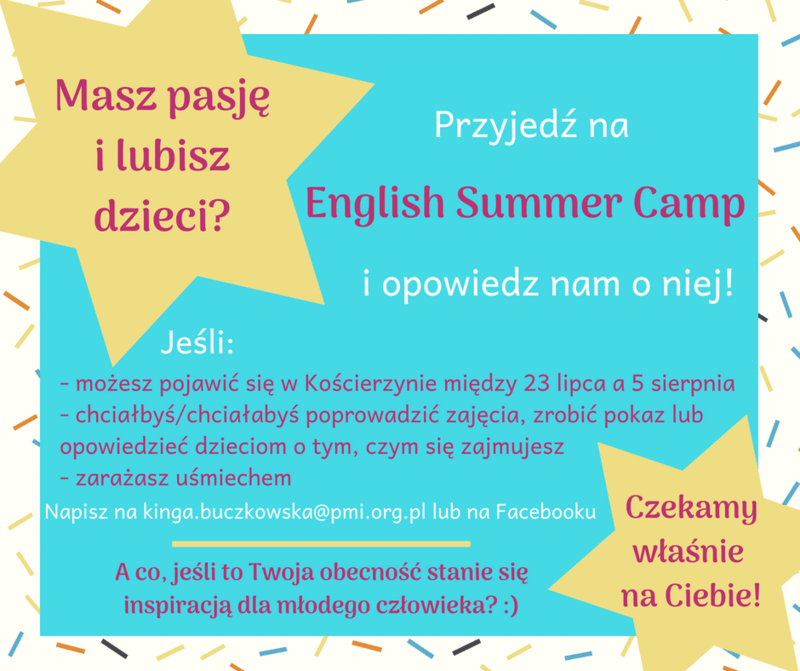 Who knows, maybe thanks to you, we will be able to encourage more cities to become the patron of both English Summer Camp and English Winter Camp! 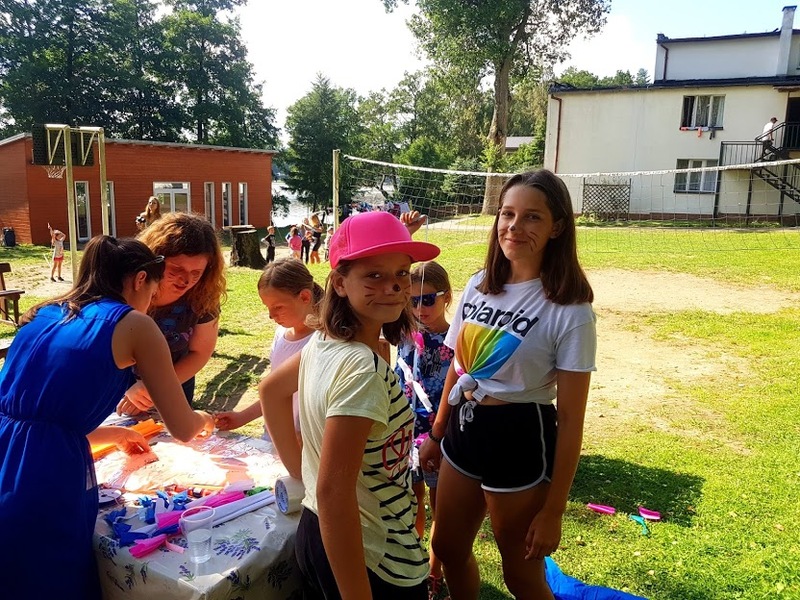 During the course of 14 years of uninterrupted activity, over 2,000 children from Pomeranian Foster Families and Children’s Homes used the English Camp camps. We are glad that we have found patrons, and thus we can confidently say – partners who like us like to help. English Summer Camp 2018 – let’s start! 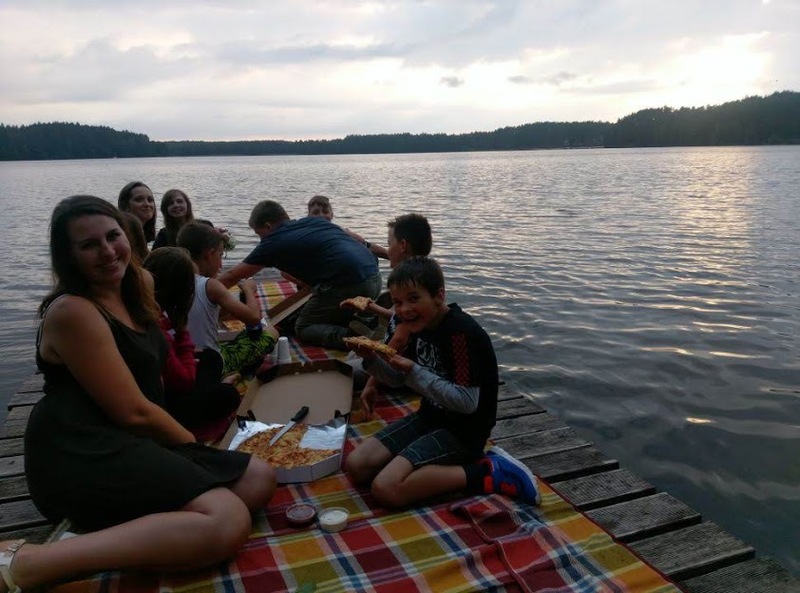 After the arrival and the initial organization, the time for one of the favourite activities of every human came, because whole camp went to the dinner 🙂 Then, with full stomachs and widesmiles we started getting know each other. It is truly amazing, how many interesting information you can get from other people in about a dozen minutes! 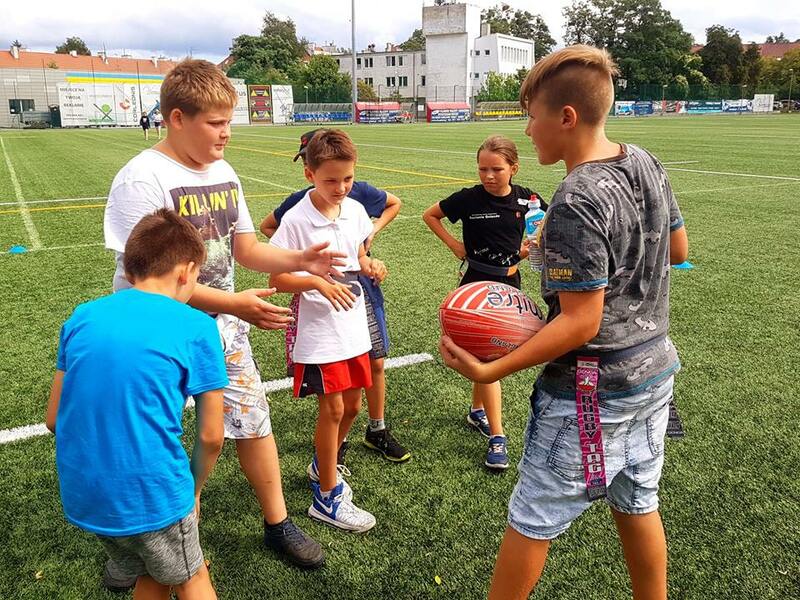 When participants got to know each other better, a time for the team games came, after all, sport is the main theme of the camp 🙂 The range of the possibilities was huge, children played football, basketball, volleyball and many more. 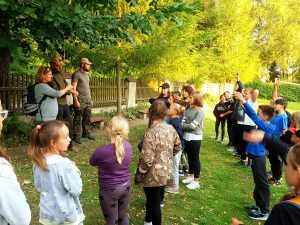 The attraction of the day – to the great enthusiasm of kids – was still before us! 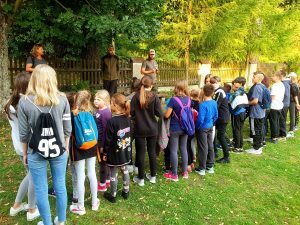 Around 19:00 the whole camp set off on the hare and hounds organised for us by the Survival Adventure Squad. 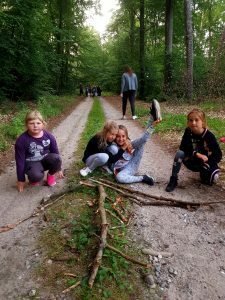 Children had to struggle with many riddles and challenges, and had to find the destination following instuctions hidden in forest. I think that moods accompanying the journey are perfectly depicted in the photo gallery showed below. We have enjoyed it a lot! Admittedly this day passed very quickly and before we realized, the sun came over the horizon. 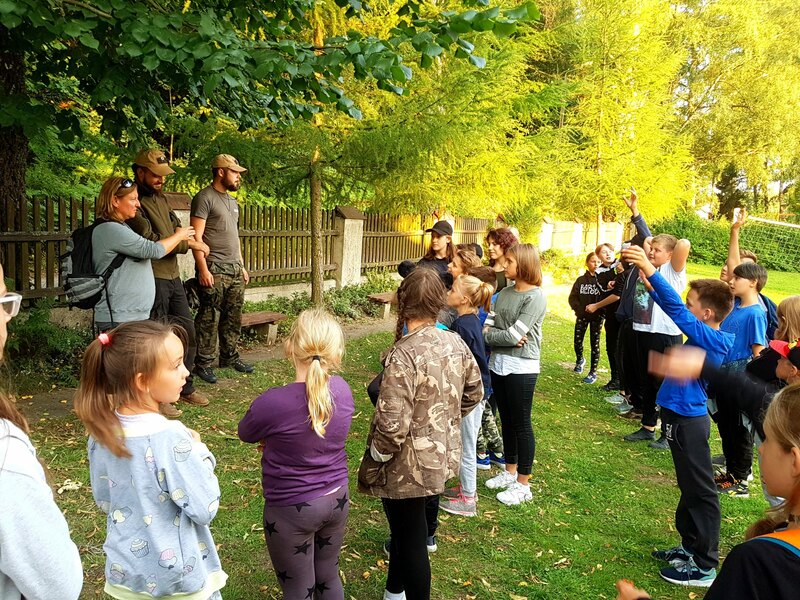 This day was certainly unique not only by children, also counsellors had great fun and integrated with young pupils . In the mood of the well spent day, we went for the truly deserved rest, full of enthusiasm and with hope, that remaining days will be equally fruitful. Despite the hot days, volunteers of the Gdańsk department of PMI are not dilly-dalling! Sending emails to all parts of the world, writing posts, meetings, talks. . . In all this we do not forget to collect funds to organize the ESC. 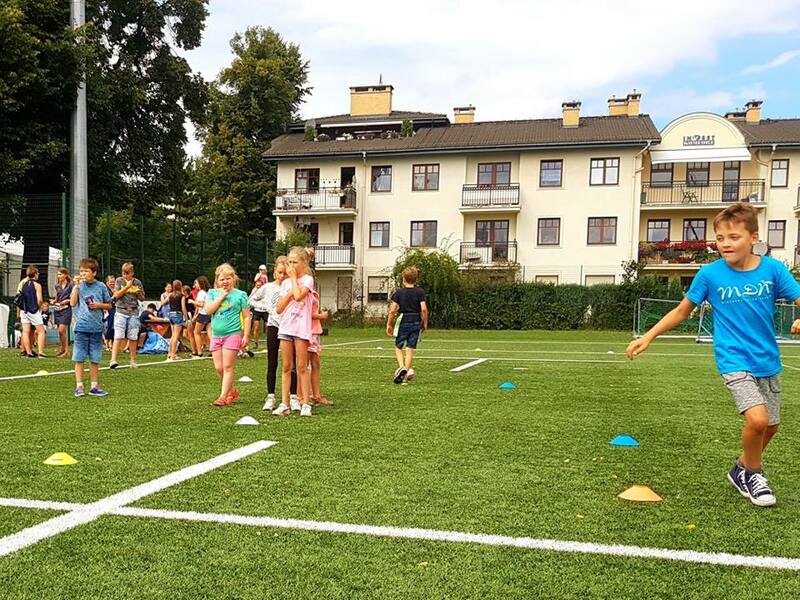 The latter was directed by the “Events” team, led by Judyta and supported by Bayer, who organized the Third Charity Football Tournament! The match took place on Friday, June 8th. Representatives of companies stood opposite each other: Ensono, Lufthansa, Staples, State Street and thyssenkrupp. After a fierce competition, players from Staples won! Congratulations to the winners, but also to all the other teams! However, the match was not the only attraction of the day. A lottery, a barbecue, artistic performances – all this took place on the pitch right next to the football struggles. The weather was favorable for us, so everyone left the pitch with a smile. The whole tournament would not have been possible without our partners: the DANOS music band and the LOBSTER restaurant. Next year’s match – who knows, maybe with an extended line-up? 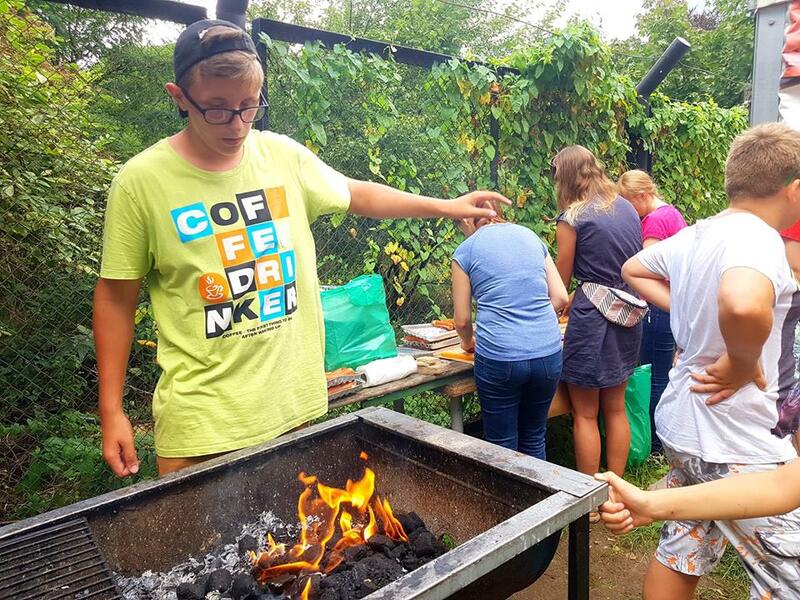 English Summer Camp 2018 – preparations for summer edition in progress! Since the middle of April our brave volunteers ar einvolved in preparations to next, fifteenth edition of English Summer Camp! Divided into five teams, they are doing everything to make safe, eventful, but first of all – fruitful stay for children in our Camp. This year our children will be hosted again in “Zielona Szarlota” resort in Szarlota near Kościerzyna. 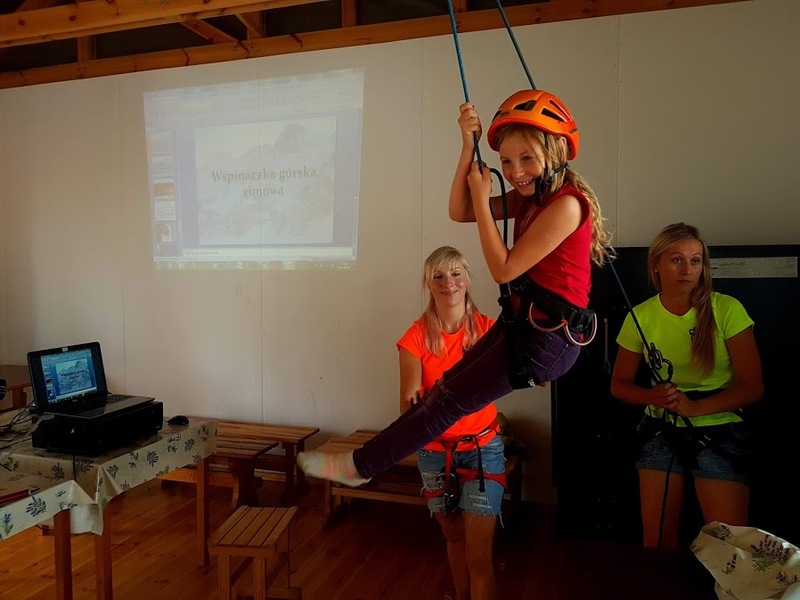 All of this is supervised by Kasia – Project Manager of this edition. What is the main theme of this edition? What is the best outdoor? 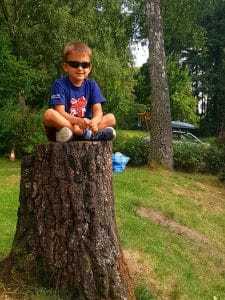 SPORT! 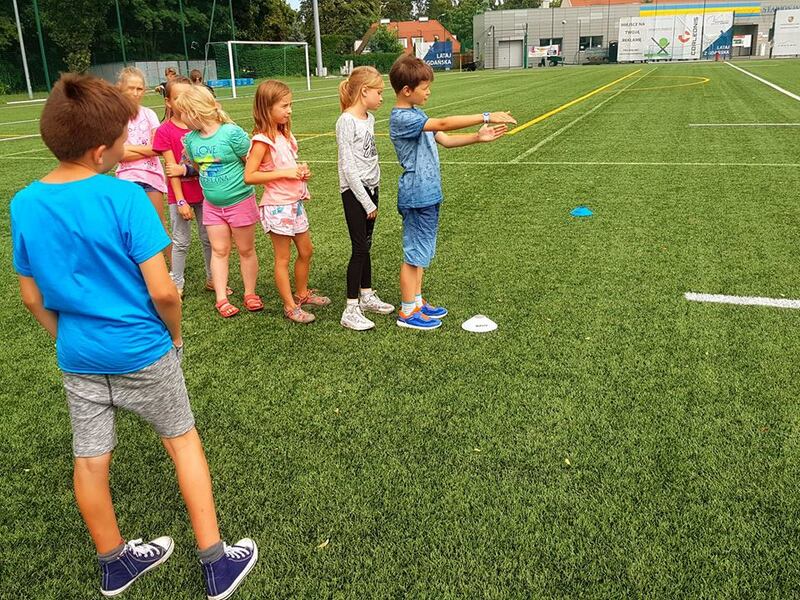 We believe that activities leaded by our volunteers and sport proffesionals will give our children the shot of positive energy. 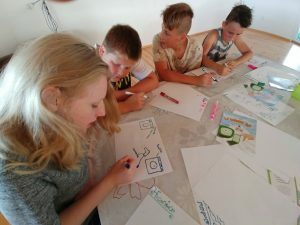 The second aim is to energize young brains to intense work with collective project and to learn english! As you can see, there is a lot of work for us, but anyway we counting time to ESC happily. 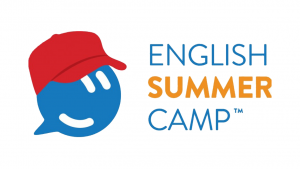 Countdown will finish 23th of July – then we will say, that it’s time to start English Summer Camp 2018! English Summer Camp 2016 – Let’s start the Project! 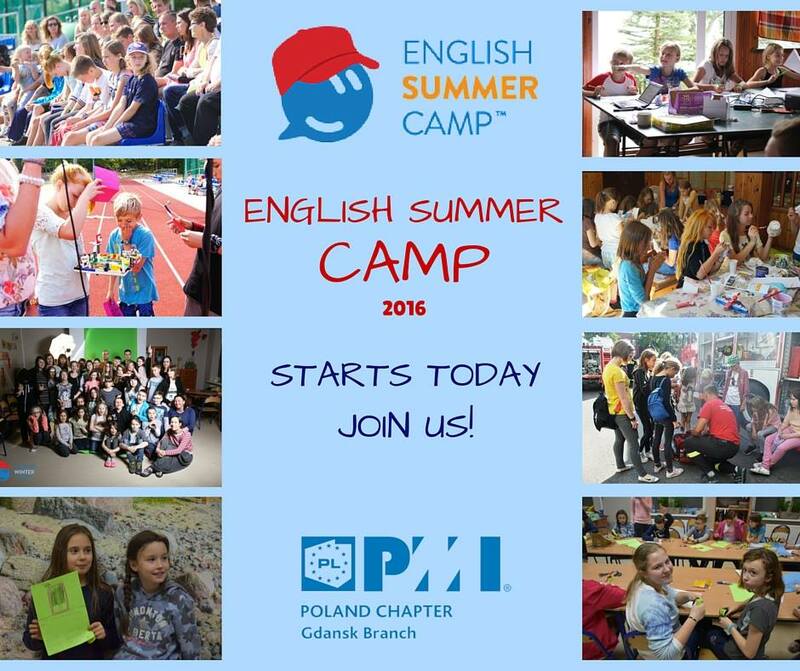 This is the 20th edition of the project English Camp. 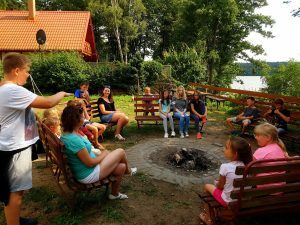 This time from 20th – 31st of July children will spend a wonderful holiday in Żelistrzewo near Puck. Today is the last day of our camp.